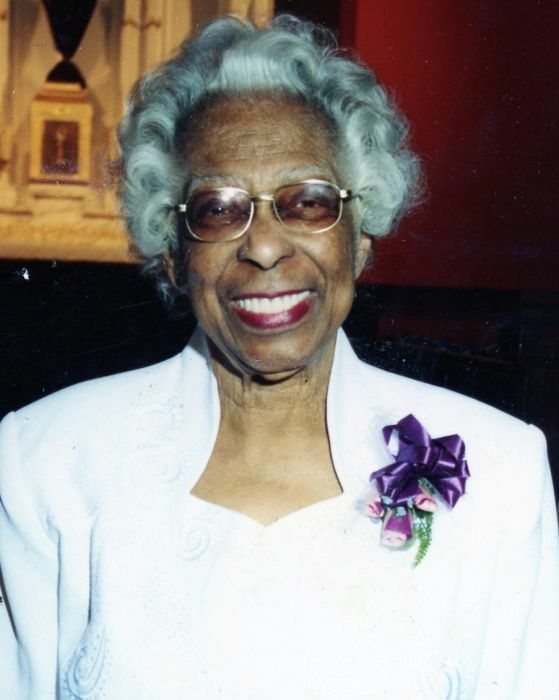 Obituary for Ruby Wilhelmina Wilkinson | Frank R. Bell Funeral Home, Inc.
Ruby Wilhelmina Wilkinson, last child of (the late) Charlotte Matilda Weekes Farley and Robert Farley, was born on November 24, 1925 in Atlantic City, New Jersey. When she was 10½ months old, Ruby's family moved to Brooklyn, New York where she attended public schools and graduated from Franklin K. Lane High School. She also attended Long Island University. Ruby became a Registered Nurse and served as a Public Health Nurse for the City of New York. Ruby was married to (the late) Kenvett Marcus Wilkinson, Jr. From their union, two children were born: Kenvett, III who preceded her in death and Karen Ruby. Ruby was very active in her community as well as being a very active member of St. Philip’s Episcopal Church. She was President of The Women's Guild and the Irma Smith Health Ministry. Ruby introduced SHARE (part of a national network dedicated to expanding community access to wholesome, affordable food) and Feast Delivers Programs to the church. She received the Bishop’s Cross and Ester Reese award for Woman of the Year. She was Past President and Vice President of the 600 Jefferson Avenue Block Association, and Treasurer of Stuyvesant Heights Senior Center and R.S.V.P. (Retired Seniors Volunteer Program). Ruby earned her wings on Thursday, January 17, 2019. She leaves behind to cherish her memories, her daughter Karen Ruby Wilkinson; a daughter-in-law Alma Wilkinson; three daughters from other mothers: Valerie Noel, Andrinia Wilkinson and Alleen Marshal; one son from another mother Buddy Williams; four grandsons: Jermaine Wilkinson, Sean Wilkinson, Dane Edwards and Erinn Wilkinson; a granddaughter Janice; great-grands: Elisabeth, Katalina, Erinn, Jr., Jordan and Zeeshan; nieces: Inez Lambert, Dolores Miller and Shelia Farley; nephews, cousins, other relatives, and a host of friends.